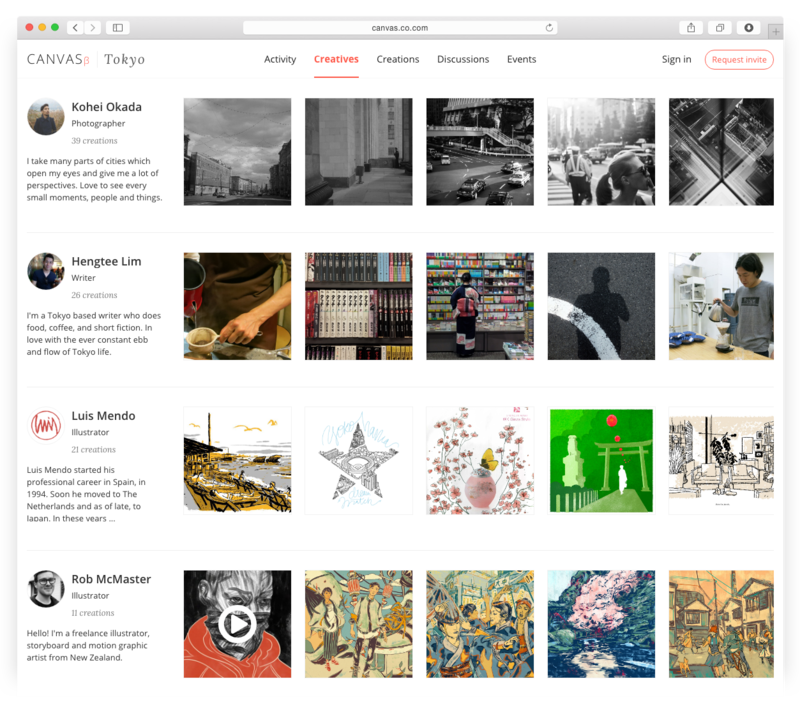 We’ve been waiting for someone to build a system like Canvas for years. But they didn’t, so we did! 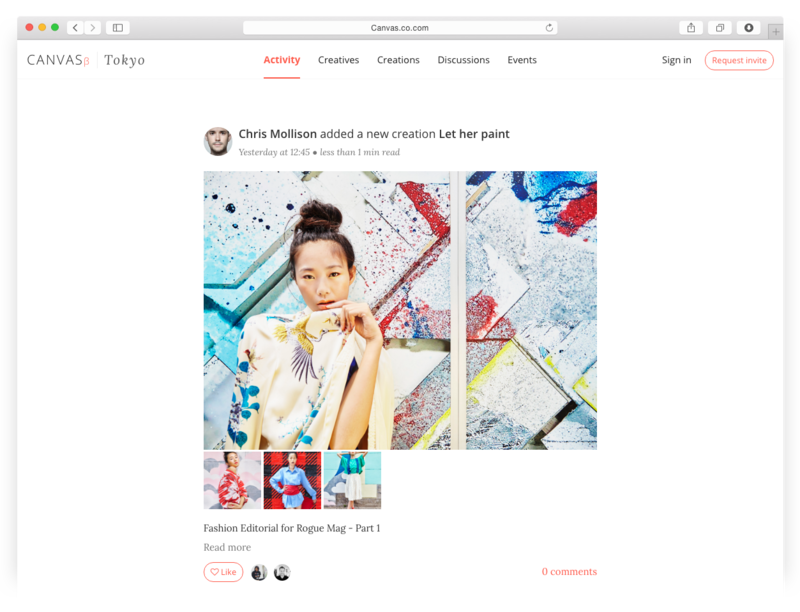 It’s an online platform for Tokyo’s creative community, bringing creatives of all kinds together both online and offline. It’s still very early days, and we’re following very lean processes while building Canvas. This means lots of interviews with target users throughout the process to learn what should be built, releasing a basic version as early as possible and rapidly iterating. Using this flow we went from initial ideation to paper prototype to web prototype to first release within two weeks. 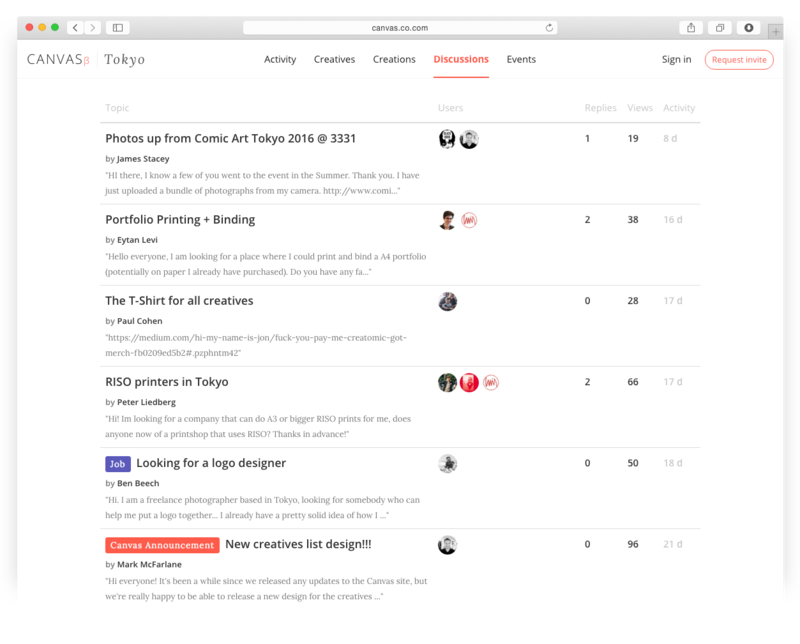 We were careful to keep the visual design as clean and simple as possible, deferring to the beautiful content instead of distracting the user. We’ve been happy to have received very positive feedback on the style and ease of use, and a surprising amount of enthusiasm for using the system from our early members. 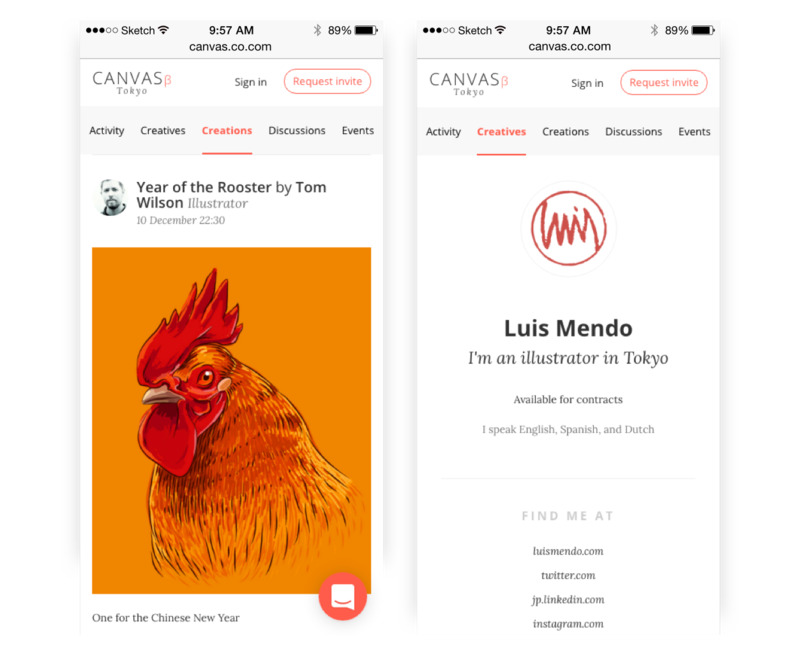 We have a lot more work to do on Canvas over the next few months until it’s ready for a “v1.0” release, so we’ll continue iterating, testing new features and growing the user base until it’s ready.